Wargaming is excited to reveal further details about the upcoming and action-packed Grand Finals 2016. The crowning event in the World of Tanks eSports calendar will be taking place April 8–9 in Torwar Hall, Warsaw, Poland, and promises to be bigger and better than ever before. Grand Finals 2016 will begin Friday, April 8, with doors opening at 10:00AM. On day one, spectators can get their first taste of tank action in the group stages. On Saturday, April 9, the battles continue from 12:00PM, featuring the playoffs, quarterfinals, semifinals, and culminating in the show-stopping finale. What’s more, World of Tanks eSports stars will compete in the first ever World of Warships show match. Inside Torwar Hall will be a Free-to-Play Zone, with 28 gaming stations and VR-headsets. Visitors can play their favorite World of Tanks and World of Warships games and take part in a master class from eSports pros. For the first time players will have a chance to feel the rush of battle watching the action in 360° with their VR-headset. Console tankers will be able to jump into 7-vs-7 competitions, or battle on six additional PlayStation®4 gaming stands. 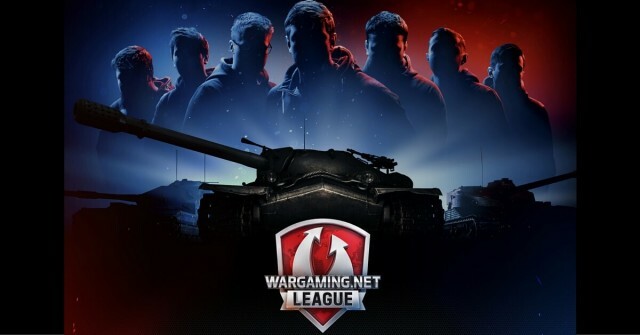 Visitors can participate in numerous contests at the venue, as well as in social media and streams, snagging themselves lots of cool prizes and gifts from Wargaming and its partners. Entry to Grand Finals 2016 is absolutely free. Fans can also register for the show and get a special gift: the Premium British Tier 5 heavy tank Excelsior. Registration sessions will be open on March 18 and 25, so fans need to be quick to grab their gift before it’s gone. Also available will be a limited number of VIP tickets. They allow entrance to the venue one hour before everyone else, a fast queuing lane and a dedicated premium seat in front of the action. VIP ticket holders will also receive the Premium British Tier 5 heavy Excelsior, Tier 8 Premium heavy IS-3A, the unique Grand Finals M 41 90 GF tank, and more. Official partners of Grand Finals 2016 are Intel, Razer, PayPal and SanDisc.